Mix #10 called « Discotropic » by Jankev. Mix #09 called « Discotropic » by Jankev. Mix #08 called « Discotropic » by Jankev. 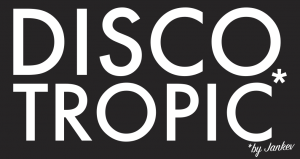 Seventh mix called « Discotropic » by Jankev. Sixth mix called « Discotropic » by Jankev. Fifth mix called « Discotropic » by Jankev. Fourth mix called « Discotropic » by Jankev. Third mix called « Discotropic » by Jankev. Second mix called « Discotropic » by Jankev.